Below are a few images from the Burchett Papers (MS-355) described in the previous post. Hopefully it will be remembered next time to include images with the original text! 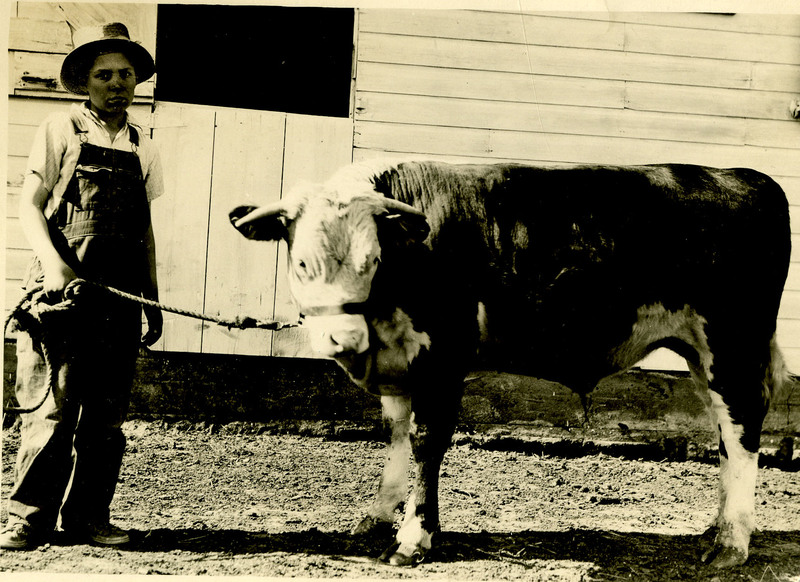 Wayne Burchett, 10 years old, in the spring of 1930 with his first 4-H Hereford calf which was shown at the Iowa State Fair. Records related to the cattle on the farm can be found in the cattle and farm operations folders. 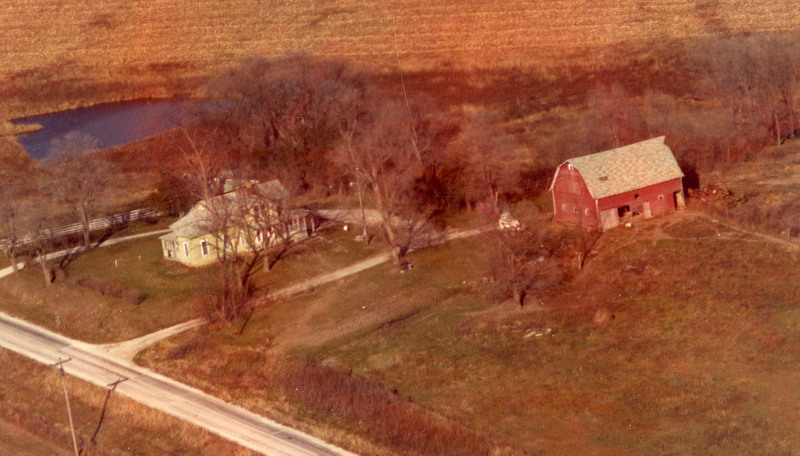 This is the original Orval and Alice Burchett homestead where Wayne grew up. 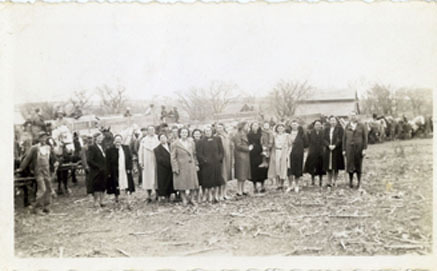 Showing the compassion and helpfulness which continues to this day among Iowa farmers, this image shows a group of neighbors and friends (the Burchetts included) coming to together to help their neighbor Mary Palmer harvest her family’s corn crop soon after her husband had died. It is always fun to find images of Iowa State in the manuscript collections outside of the University Archives records. 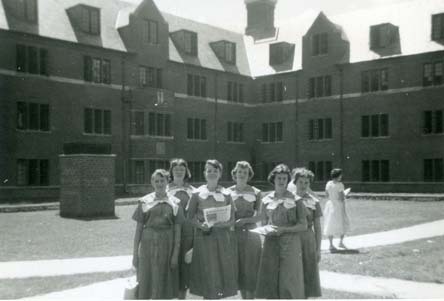 Here is a group of 4Hers at a state convention, standing outside of Friley Residence Hall. At least one of Wayne and Gayle’s daughters are probably in the photograph, since both were members and Gayle was a 4H leader for the Richland Ridge Runners. A folder related to the family’s 4H activities and Cathy Burchett’s record books are included in the collection. 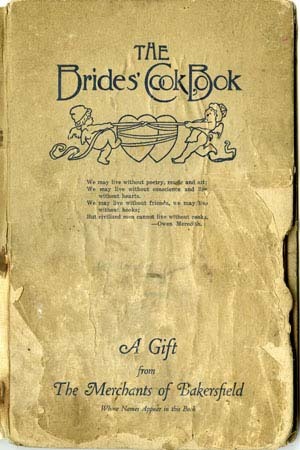 This is an interesting little cookbook that was given out to brides by the Merchants of Bakersfield (based in California). It’s unclear who this originally belonged to, but the book was published around the end of World War I. Inside is a copy of a 1918 endorsement written by the Home Economics Department of the United States Food Administration for California certifying that the recipes follow food conservation principles, allowing the housewife to perform her patriotic duty. We may live without consciences and live without hearts. But civilized men cannot live without cooks. For more information on the Wayne O. and Gayle Carns Burchett Papers, please see the finding aid on the Special Collections webpage. This entry was posted in Manuscript Collections and tagged 4H, Agriculture, Rural life. Bookmark the permalink.